Made this little sweet angel from paperclay. Clothes and wings are made of light fabrics such as tulle. Made this lovely angel from paperclay. 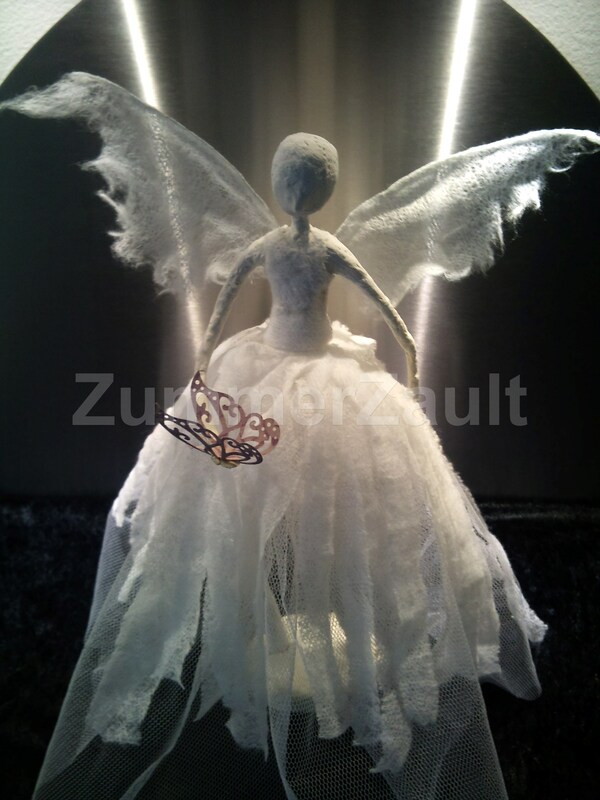 Her wings and clothes are made from tulle and various light materials.